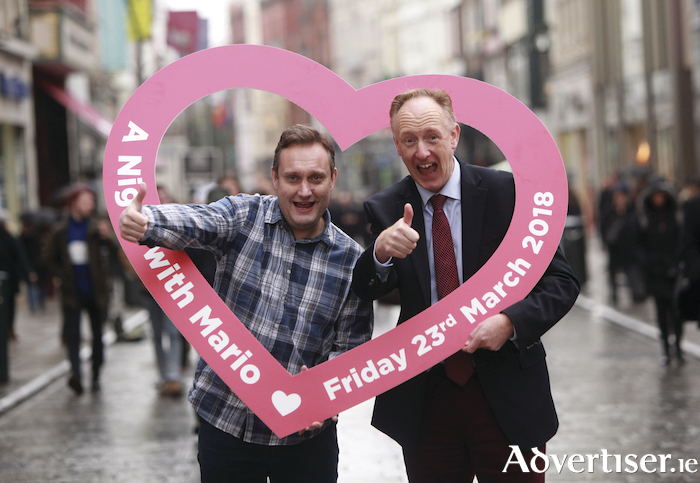 MARIO ROSENSTOCK will be in Galway next month, to present his A Night With Mario show, which will raise funds for Galway's heart and stroke charity Croí. A Night With Mario takes place in The Galmont Hotel (formerly the Radisson Blu ) on Friday March 23. Rosentock is giving this special performance as part of the new-look Croí Ball, which is the longest running charity ball in Galway city, and is now in its 33rd year. Announcing details of the event, Croi’s Neil Johnson said “we are looking forward to a great night of fun and entertainment, followed by dancing to local band ‘The Bentley Boys’ and disco until late." All funds raised will directly support Croí's work in combating heart disease and stroke. Tickets are limited and are on sale at www.croi.ie or by calling 091-544310.